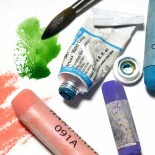 Creativity in the Wednesday Studio is not limited to graphic art. Anne Shields has written and illustrated (in watercolor!) 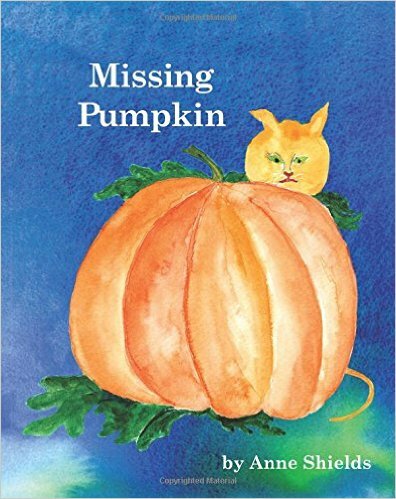 a children’s book titled Missing Pumpkin. After she wrote the story about Pumpkin, an orange cat gone AWOL, Anne painted the illustrations in the studio. I loved watching her creation of pictures to depict how the boy Edgar searches for his missing Pumpkin. Anne brought the published book to the CHAW studio last week, and we all enjoyed paging through it and seeing how it looks in print! The book is available on Amazon. Click here. 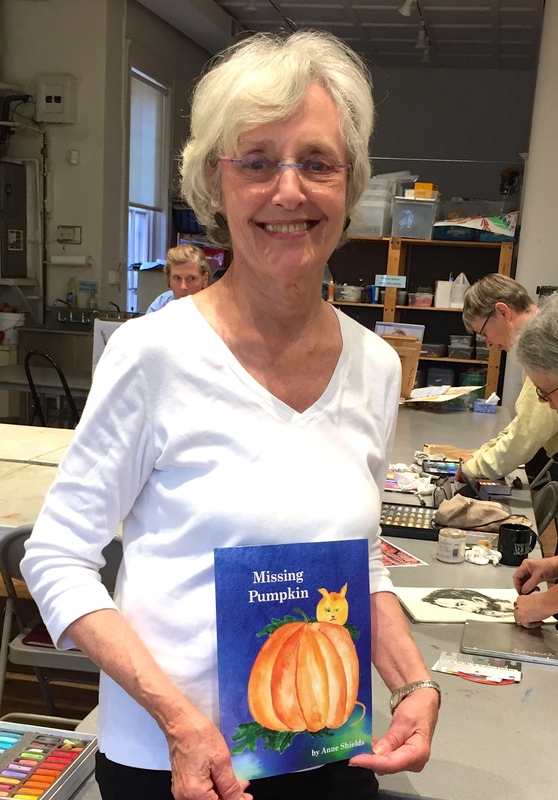 This entry was posted on October 10, 2015 by wisemarian in Illustrating books and tagged Anne Shields, Capitol Hill Arts Workshop, CHAW, Missing Pumpkin.